This is the story of Dr. William Hurwitz a preeminent pain specialist who was sentenced to 25 years in prison for drug trafficking. Hurwitz was a doctor who specialized in treating those with chronic pain, which is classified as any pain lasting more than 3 months. The feds considered what he was doing was simply drug pushing without actually looking at his patients. This is an intriguing film looking not only at doctors who proscribe too many pain killers but also why it happens. As the film makes clear not all doctors are drug dealers and since there is no way to tell if someone is genuinely in pain you have to trust the patient. Hurwitz did and while he admits to making mistakes he also know that he helped a great number of people. In recounting Hurwitz's tale we are given a great deal to mull over since it is clear that despite how it may look from the outside or from a quick glance things are nowhere near as simple as the government would make them out to be. The Government looked at the total number of pills prescribed but didn't make much effort to talk to the victims. Things were not and are not as cut and dry as they seem. 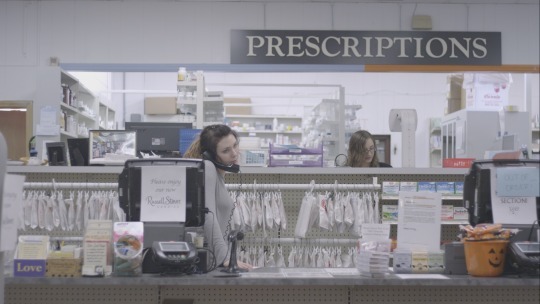 One of the biggest questions the film kicks up is how do we handle chronic pain? While there is no doubt that there is the risk of addiction what are we supposed to do to those who need the help? Its not an easy question to answer and Hurwitz's story provides much food for thought. The film will have a week-long theatrical release at Cinema Village in New York starting Friday December 30. Gravitas Ventures is releasing the film on VOD starting Jan. 31, 2017. Week-long theatrical release at Cinema Village starts Dec. 30, 2016. Q&A with director Eve Marson on Monday, Jan. 2 following the 7:15pm screening. Q&A to follow with producer Sara Goldblatt. Q&A with the director Eve Marson, producer Sara Goldblatt, and executive producers Dr. Alison Block and Dr. Timothy Poore! Q&A to follow with director Eve Marson and producer Sara Goldblatt.